Grain like white crumbs. 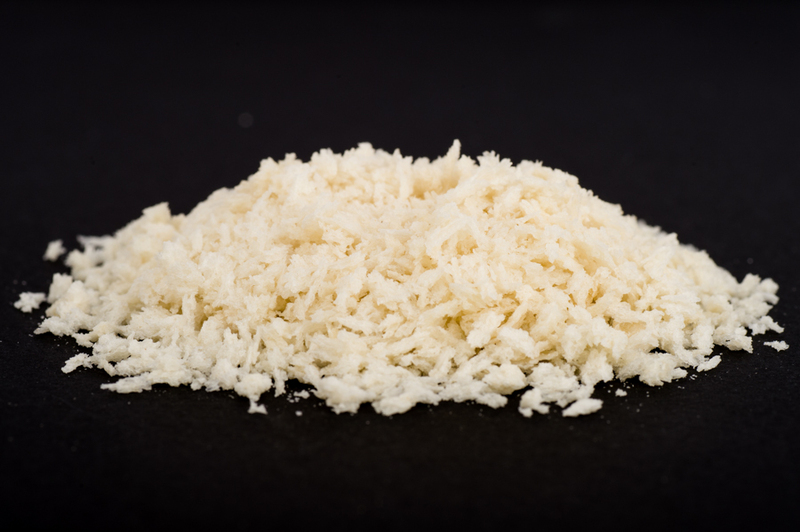 Panko’s crustless bread is coarsely ground into airy, large flakes that give fried foods a light, crunchy coating. The flakes tend to stay crispier longer than standard breadcrumbs because they don’t absorb as much grease.